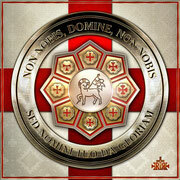 Who is a saint according to the Templar Church? Someone is a saint according to the Templar Church, if this one is chosen by GOD to be a saint. One can not simply become a saint, if he has not been called by GOD. GOD shows us who he has chosen as a saint by a simple sign: the flame! How does one know, someone is a saint? Simple! there has been set an example for us in the book of acts, to know how to identify one, who is a saint. This example is the occation of pentacost. There a flame of fire did set itself on the heads of every GOD chosen saint! 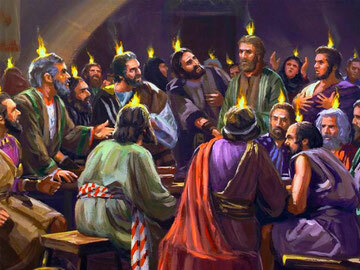 So if the flame sets itself on the head of a person, and remains there, and this is event is witnessed by two or three eyewitnesses, this is evidence that this person is chosen by GOD to be a saint, it really is that simple! Do all "saints" mentioned in, recorded history, measure up to the standard of a saint set forth in the bible? The simple answer is no. If the saint mentioned did not undergo the miracle of "baptism by fire" as the account of act calls it, then this one is not a saint. Only ones on who the flame has set itself is called by GOD as a saint! Peter, head of the church? Was Petrer head of the Christian church? No, Jesvs Christ is head of the Christian church. Peter was a very important figure in the founding days of the church, even to the point of recieving the privilage from Jesvs to be handed the three keys of heaven, but nowehere in the bible does it say Peter was the head of the church. What about Peter dying in Rome then? Nowhere in the bible does it says Peter died in Rome, Paul died in rome, that fact is clearly stated. Al that can be found about Peter is that he was send by the body of elders in Jerusalem to go to the city of Babylon, not Rome.